This is a book based on current affairs, which aims for general awareness section in competition exams. 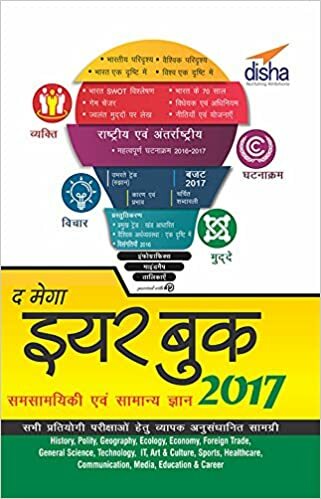 This book is available both in Hindi and English version. The Graduate Management Admission Test (GMAT) is a well-known computer-adaptive entrance test. In GMAT aspirant`s analytical, writing, quantitative aptitude, verbal and reading comprehension abilities in standard was written English checks. This exam is taken for the graduate management program, such as MBA. Scoring in GMAT as well as GRE exam not much hard, but you need a well-planned strategy and material to study. If you want to prepare yourself instead of doing any special training to prepare then it would also work. 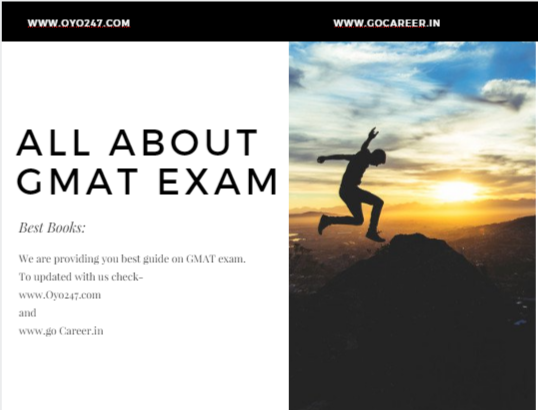 In this article, I am going to explain how you can crack and score well in GMAT exam yourself. I will also give reviews on various books for GMAT exam so that you can choose best for yourself. It is seen that candidates are not able to make a study plan, keep in mind, I have also told a strategy to score well in GMAT. In these books first one “The Official Guide for GMAT Review” is like a Bible for GMAT aspirants. It is very helpful if you once glance at the entire book before you start preparation from any other book. Once you skimmed this book entirely and solve problem questions in detail, The “Kaplan GMAT Premier” will help you in understand questions better and will clear concepts in a magical way. Once you have started with these books, now you can work on “GMAT Sentence Correction Strategy Guide by Manhattan Prep”. The “GMAT Sentence Correction Strategy Guide” by Manhattan Prep will help you a lot for improving your sentence correction skills to a new level. The above all three books are ideally sufficient for all GMAT aspirants to take and score well in the exam. But if you want to work on Quantitative, Verbal and other sections separately, then you should buy separate books for each section. This is like a bible for GMAT candidates. These set of books are enough to crack GMAT exam, You can go blindly with this. In other words, I want to say this set of books is must have for GMAT. 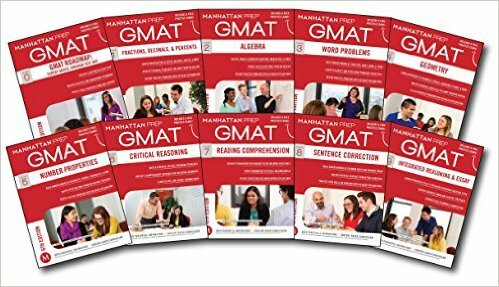 This set of GMAT books contains total 10 books. Don’t just learn a bunch of nifty tricks; learn the fundamentals behind the questions, so you won’t just be flailing about test day, relying only on guessing strategies. 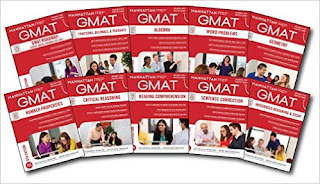 If you are serious to crack and score well in GMAT then you can surely go for these books with Official Guide for GMAT by GMAC. We are providing you Top must have books for Quantitative aptitude. The Official Guide for GMAT Quantitative Review is absolutely essential if you want to score well in GMAT quantitative part. 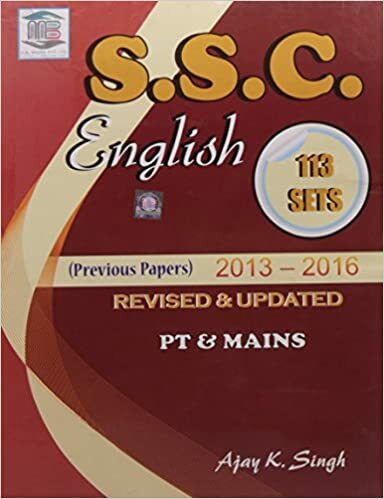 This book contains all basic details and gives a full guide for preparation. This book contains last year question paper problems also. If you want more edge on quantitative then you go for this set of books blindly, this set contains 5 books. Fraction and decimals, Algebra, Word problem, Geometry and Number properties. Before buying this set check whether you have sufficient time to prepare for, as this book contains tough questions as well. If you don`t have sufficient time to prepare from above mentioned “Quantitative Strategy Guide Set by Manhattan Prep” but you want some more practice to work on quants then you can go for “GMAT Advanced Quant: 250+ Practice Problems”. If you are on a very tight budget as many students are, try and avoid discounting resources. GMAT preparation is an investment for your career and whole life. So, with none any hustle, here are my top (best) suggested GMAT preparation books. As we already discuss for 10 books set above. You don't need to buy all 10 books if you have not time in hands to go through all books. If you have old edition then you don't need the newest edition. 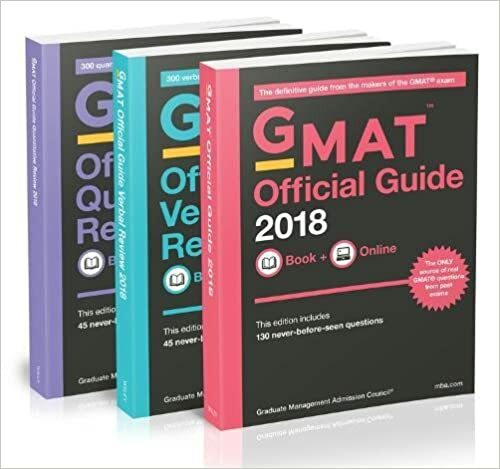 Official guide for GMAT is a set of 3 books. This is worth buying for the official practice material from GMAC. These books updated every year based on the latest pattern. This is the book is must only you need additional challenging mathematics problems practice. This is little famous books then Manhattan and Official Guide but is very useful to practice mathematics problems. If you want to learn to dissect Critical Reasoning questions like a pro then you can go for this book. Word Power Made Easy: This is a simple yet very effective book to make a habit to learn new words. The author of the book is Normen Lewis who have written many books to help learn English. If you are preparing for GMAT 2018 or 2019 and willing to learn new words of English then you can go for it. 30 Days More for Powerful Vocabulary: This is another book by Normen Lewis to learn new words if you found "Word Power Made Easy" helpful for you then you also go for it. How to Read Better and Faster: "How to Read Better and Faster" is a good book if you are not good in English learning. This book is compiled in a way that you got habitual good on comprehension. It is estimated that 75% of the people who study BBM apply for the CAT in order to secure a good MBA college. Based on these results a lot of BBM colleges have started providing BBM integrated with CAT coaching classes cashing in on the huge coaching market. Below is a list of Top BBM Colleges in india. Mount Carmel College: Mount Carmel College, Bangalore is a women's college in Vasanth Nagar of Bangalore, Karnataka, India that was established on 7 July 1948. The college offers undergraduate and postgraduate courses. Christ College, Bangalore: Christ University is a private university in Bangalore, Karnataka, India. Founded in 1969 as a college, on 22 July 2008 it was declared as an institution deemed to be university under section 3 of UGC. St. Joseph's College of Commerce: St. Joseph's College of Commerce, SJCC, is a Bangalore University-affiliated college operated by the Jesuits. It is autonomous and has an independent examination and recognition system. It is situated in central Bangalore at Brigade Road. Jain University: Jain University is a Deemed university under the UGC Act,1956 established in Bangalore, India and promoted by The JGI Group in India and the state of Karnataka. NarseeMonjee College of Commerce and Economics: NarseeMonjee College of Commerce and Economics is a tertiary education college for commercial studies and economics affiliated to the University of Mumbai. Mumbai University: The University of Mumbai, also known as MU, is one of the first state universities of India and the oldest in Maharashtra. Mithibai College: Mithibai College of Arts, Chauhan Institute of Science &AmruthbenJivanlal College of Commerce and Economics, also known as Mithibai College, is a college in Vile Parle, Mumbai, India. Mithibai College is affiliated with the University of Mumbai. H.R. College of Commerce and Economics: HassaramRijhumal College of Commerce and Economics, commonly known as H.R. College, is a college located in Churchgate, South Mumbai. It is run by the Hyderabad Sind National Collegiate Board and comes under the University of Mumbai. The CAT Exam coaching is a Rs1000 crore industry and it makes perfect sense for top colleges to inculcate it along with their UG programs and make it easier for the students and cater to their needs under a single roof.